Spaces! For me it is definitely the "space" that first catches my eye when thinking of home. Although coziness has its advantages in terms of warmth, intimacy and embrace, for me, large, open, bright rooms with big windows will always come out on top. I assume it has something to do with freedom and having enough air to breathe. That is why I love the House of Windsor, built as a concept house by Windsor Smith and purchased by Gwyneth Paltrow and Chris Martin in 2012. 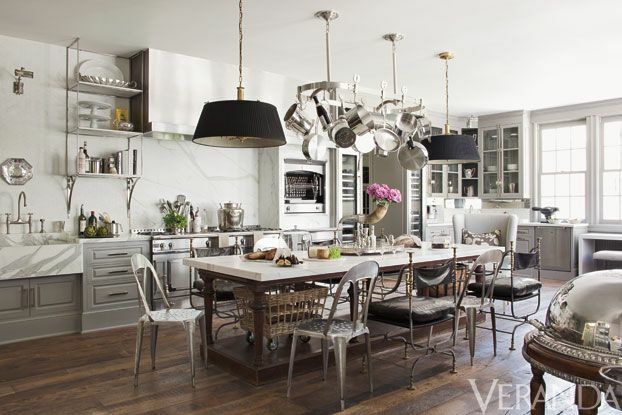 I like the concept of having the rooms decorated by different, well-known LA designers such as Kathryn Ireland and Martyn Lawrence Bullard, as featured in Veranda Magazine. It gives the design diversity, letting each room be special and different while all speaking the same language. It is the high ceiling, white walls, and huge French windows that allow the rooms to look large and bright, the sunlight washing the inside with warm shades. 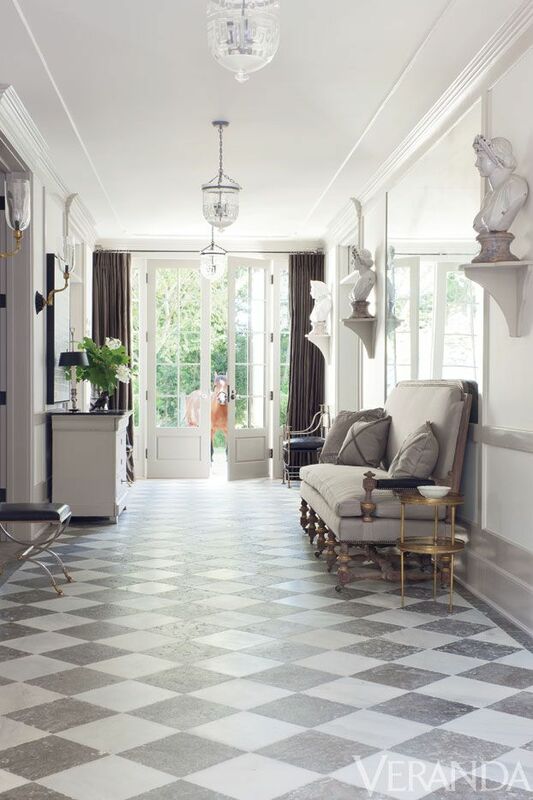 But it is also the white-grey-black scale of colors, the natural parquet flooring, and the little personal touches that give this house its homey ambiance. More than anything, the house represents an eclectic design — the old and the new, the rustic with a flash of the modern, and overall a very pleasant and aesthetic surrounding.